2.1. Policy With the exception of the Drexel Schools, the Pastor or Minister of Parish Life is both the primary administrator and the spiritual leader of the Parish and the Parish School, if any. These are important responsibilities that the Pastor or Minister of Parish Life is not permitted to delegate. Further, because Parish Schools are considered an integral part of the spiritual mission of any Parish, the Pastor or Minister of Parish Life does not have the authority to transfer this responsibility to someone else, such as a School Principal. Note: Drexel Schools are an exception to Policy 2.1. When the School associated with a Parish is a Drexel School, the Pastor or Minister of Parish Life is not the primary administrator of the School. The Pastor or Minister of Parish Life, however, will always be the primary spiritual leader of the School even if it is a Drexel School. The Superintendent of Schools is the primary administrator of the Drexel School. 3.1. Policy Each Parish is required by canon law to have a Parish Finance Council. 3.2. Policy Members of the Parish Finance Council shall be members of the Parish community who have been baptized in the Catholic Church (canon 204), who remain in communion with the Catholic Church (canon 149), are not barred by a legitimate sanction (canon 96) and who have demonstrable skills or expertise in financial management, finance, civil law, and/or general business matters and are of impeccable integrity. 3.3. Policy The Parish Finance Council shall be made up of between three and nine people, in addition to the Pastor/Minister of Parish Life, the Parish administrator, the Parish accountant, and Parochial Vicar(s). No Parish employee or member of the immediate family of a Parish employee may serve on the Parish Finance Council. 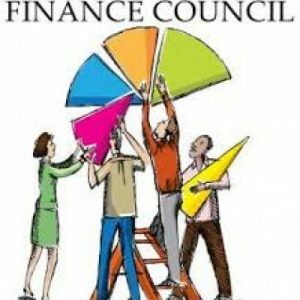 No members of the Parish Finance Council may be related to the Pastor/Minister of Parish Life. 3.5. 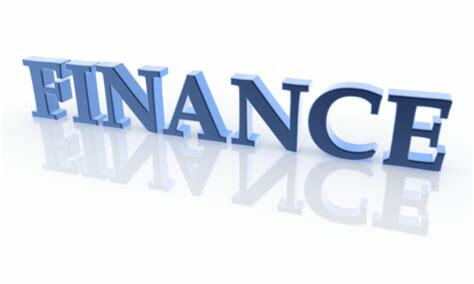 Policy Each Parish Finance Council will regularly review the Parish Financial Statements, but no less than quarterly, and help the Pastor/Minister of Parish Life develop the Parish Budget. 3.6. Policy Each Parish School must submit Financial Statements to the Pastor/Minister of Parish Life and Parish Financial Council regularly throughout the fiscal year, but in no case less than once a quarter. Annually, each Parish School must submit to the Pastor/Minister of Parish Life and the Parish Finance Council on or before June 30, the School’s proposed budget for the next year, and on or before July 31, the School’s year-end financial statements. 3.7. Policy Members of the Parish Finance Council are permitted to serve as volunteers in other capacities with the Parish [i.e. lectors, ushers, catechists, etc.] if such other role or roles do not create a conflict of interest. 4) The Annual Financial Reports and Annual Budget of the Parish School, if any. The Church’s financial year ended on June 30, 2018. The parish records were reviewed by the Finance Council this summer and they confirmed that the parish maintains its financial records according to Diocese requirements and that appropriate controls are in place to safeguard parish resources. A report of last year’s operations, the 2017-2018 budget and the 2018-2019 budget are provided on the reverse side. In addition, we have provided a graph of revenue (excluding restricted donations), expenses and basket collections over the past four years. The parish ended the year with approximately $3,148,510 in cash, of which approximately $2,762,105 is on deposit with the diocese. We greatly appreciate all of your support to St. Frances Cabrini through meaningful gifts of Time, Talent, and Treasure. The final financial report for the summer renovation projects will be provided by Fr. Michael to the parish later this Fall. Fr. Michael Hendrickson at 408-879-1124. Current members of the Finance Council include Fr. Michael Hendrickson (Pastor), Sean Cook (Chair), Tim Smith, Carlo Pedron, Jennifer Nickolas and Renee Rodriguez. The Parish Finance Committee meets quarterly to advise the pastor on financial matters and ensures that the parish follows the financial and money-handling policies set by the Diocese of San Jose. Committee members serve renewable three year terms. Parishioners who are interested in becoming members of the committee or attending a meeting should contact the pastor. SFC School has a separate School Finance Committee with the same responsibilities. That committee reports to the pastor, school principal, and School Advisory Committee. Current members of the Finance Committee include Fr. Michael Hendrickson (Pastor) and the Parish Finance Council – Sean Cook (Chair), Tim Smith, Carlo Pedron, Jennifer Nickolas and Renee Rodriguez. If anyone has unanswered questions after reviewing this report, please contact Fr. Michael Hendrickson at 408-879-1124.